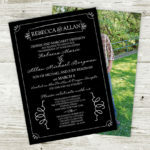 Custom Wedding Invitations on a Budget! 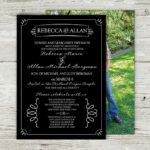 All of our invitations are printed on your choice of a heavy glossy or matte cardstock. Our quality is superior! 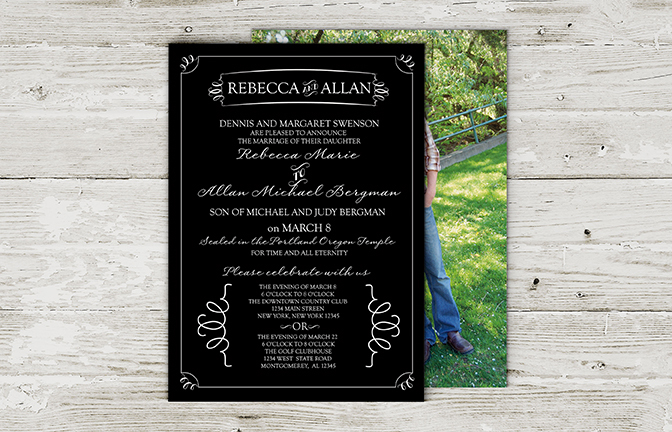 We also include free customization which means that any changes to the colors, fonts, and layouts are completely free and you are not charged an additional “design fee”. 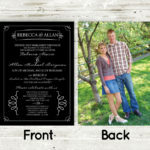 Just include any changes you want in the special instructions at the bottom of the order form. We include a free digital proof with all of our invitation orders. And we won’t send it to print until you approve your proof. 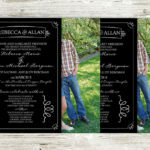 Once your proof is approved, and the invitations are sent to production, they are ready to ship in 7-10 business days. 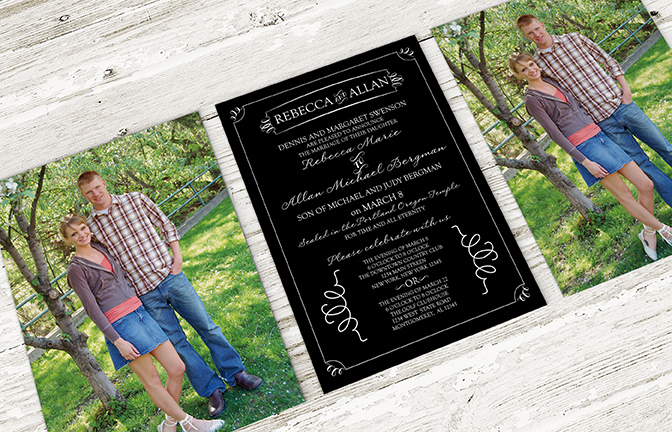 Your envelopes are shipped separately and will arrive first. 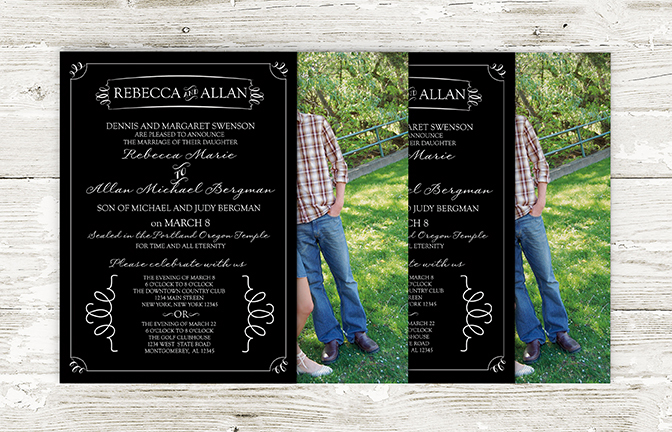 You can choose for your invitations to be printed on an 14-point glossy cardstock or a 16-point matte cardstock. There is a $15 upcharge (per order) for matte and they take an additional 1-2 business days printing. 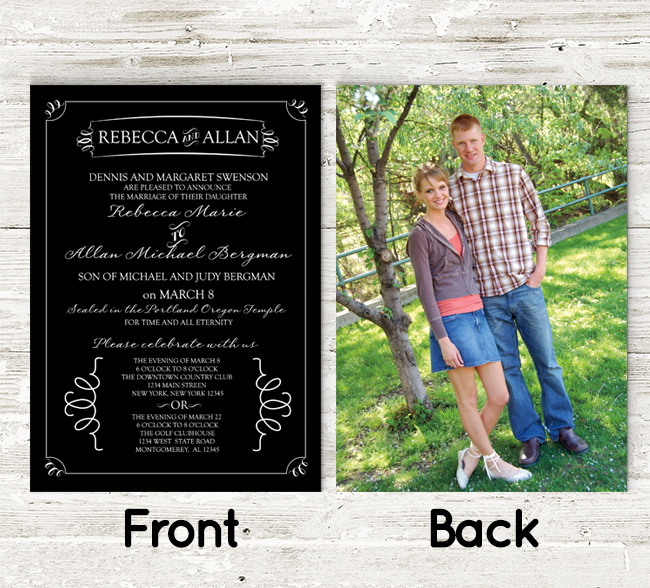 Rounded corners are $15.00 per order. 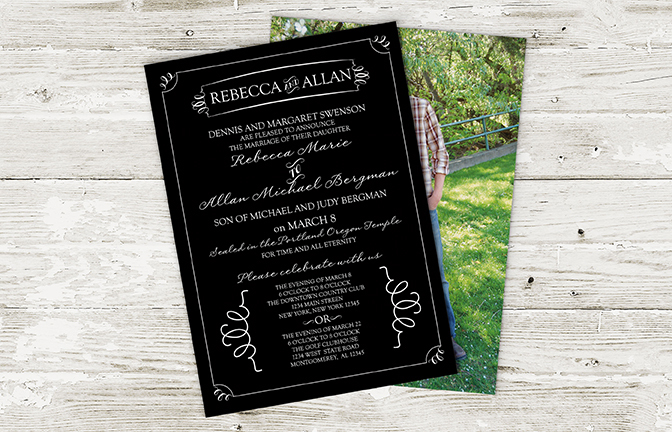 What wording would you like on your invitation? 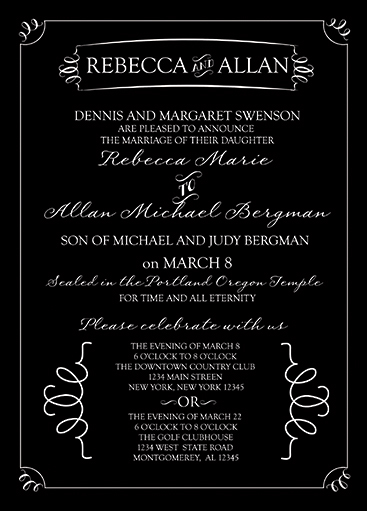 If you’re stuck, you can see sample wording invitations HERE. Please be sure to double check all of the information and spelling. Do we need to know anything else before we put your proof together? Just let us know here! If you want to change the FONTS, you can view our other options HERE. If you want a custom color, you can view other color options HERE or you can include a link anywhere on the internet that we can see the color you want. Do you agree to our Terms and Conditions? You can read them HERE. The most important thing is that you agree that you own and/or have copyright permission to use the photos you are submitting.